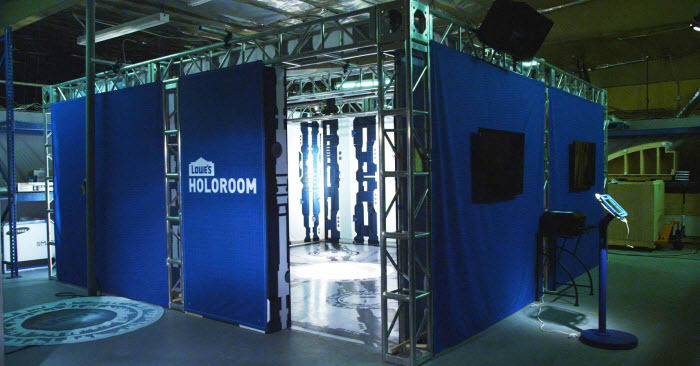 For Lowe’s, it was a virtual no-brainer. Many people can envision a new kitchen, but few can actually visualize it – not correctly anyway. That island ends up taking more space than you thought, and the refrigerator door opens right into the entranceway.So Lowe’s turned to virtual reality. It created the Holoroom, its self-described “digital power tool for kitchen and bath design.” Launched in November 2015, the Holoroom enables customers to design their dream kitchens or bathrooms on an app, and then, with virtual reality goggles such as Oculus Rift or Google Cardboard, virtually step into the design. With this technology, Lowe’s is literally extending the experiential phenomenon of virtual reality from a household word to a retail one. It is not alone. While augmented reality and virtual reality (AR/VR) feel a little futuristic for commerce, big-name retailers are testing the technologies in ways that appear surprisingly simple and adaptable. If these efforts continue, consumers will increasingly come to expect them to aid their purchasing. This is an excerpt from this full article posted on Forbes.com.